The great outdoors awaits. Getting outside with the kids is one of parenting’s great pleasures. Showing the kids your favourite trails, discovering new paths and parts of the world unknown. Getting away from the daily grind, seeing the natural world and bonding as a family is simply one of the best things a family can experience. To do it safely, plan plan and plan some more. keep skills in mind when packing and don’t push too hard. Proper equipment is the key to a successful hike. A good rule is to plan on getting lost and having to spend a night on the trail. By having enough supplies in each person’s pack to allow for that, a family of hikers will come out with a great story instead of a tragedy. When choosing equipment, go for the brightly coloured items. Dropping a dark coloured tool on the forest floor in fading light usually means that tool is gone until morning (if it’s ever found again). Wrap EVERYTHING in duct tape and paracord. Both duct tape and paracord are indispensable tools when getting stuck for the night. A day pack needs to be properly sized to every child. Take them shopping and try on all the packs. The biggest mistake parents make is getting a pack too large for their child’s body. A large pack tends to accumulate extra ‘stuff’ and become heavier than you would otherwise want. Adjustable straps, padded waist belt and chest harness keep the pack properly adjusted and help distribute the weight. 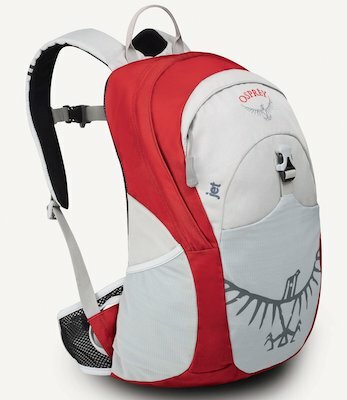 Here is one that has all the right features including outside pockets, external compression straps and ventilation. The more reflective material on the kids backpack the better. An extra hat for the sun, sunscreen, rain gear are all essential. Check the forecast before setting out and plan for the worst case. Each pack should have a bag large enough to cover it to keep contents dry. Commercially made pack covers like this one keep the contents dry. Get the right size for the pack. An orange garbage bag with slots cut in it for the straps, installed with the sealed end facing up will do the same job. In cold weather, add an extra pair of everything. A day pack should plan for an emergency overnight wherever you get stopped. The basic needs for spending a night in the woods can be found here, but shelter, fire, water and food are important things. Kids under 8 likely won’t know about lighting a fire. That’s the parents responsibility. Teaching kids to stay still, blow their whistle in groups of three and keep warm is far more likely to stick. Foil blankets (mylar sheets) are the pinnacle of outdoor warmth. Like these ones here, a foil blanket will keep anyone dry (keep the top open to allow for evaporation), insulated from the ground and waterproof. Their reflective surface makes finding a lost hiker easier. 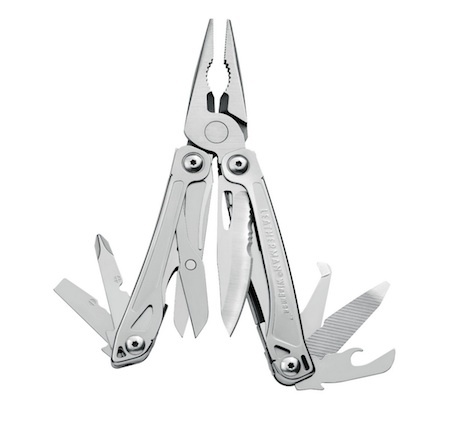 Lightweight, taking up almost no space, two or three of these should be in every pack (as well as your vehicle emergency kit). For fall/spring hiking, consider adding a warm toque and a pair of mittens to the pack if overnight temperatures fall below 40ºF. Dry socks are a must regardless of the season. Hand Warmers are great for keeping fingers and toes from becoming frostbitten. They stay warm for about 6 hours, so overnight requires two for each extremity. A water bottle that holds 20oz or so is a good size. While hydration packs are handy, they don’t allow the cleaning of contaminated water. A stainless steel water bottle can be suspended over a fire to boil water for drinking. A wide mouth bottle, such as this one will allow ice and snow to be added as well. Pro tip: ice produces more water for less heat than snow and never ever underestimate the amount of water you should bring when you go for a hike or a wander off into the woods. You can do without many things for a period of time but water (clean drinking water) is essential and you must be prepared for the worst. Granola bars, nuts, jerky, dried fruits are all good to have on the trail. Plan for snacks, and one full meal more than the intended hike duration. 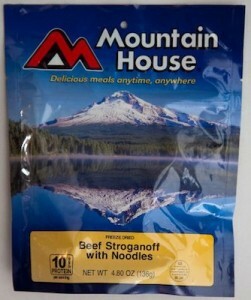 Dehydrated meals such as these from Mountain House provide a warm, nutritious meal without much preparation. They do, however, require boiling water. 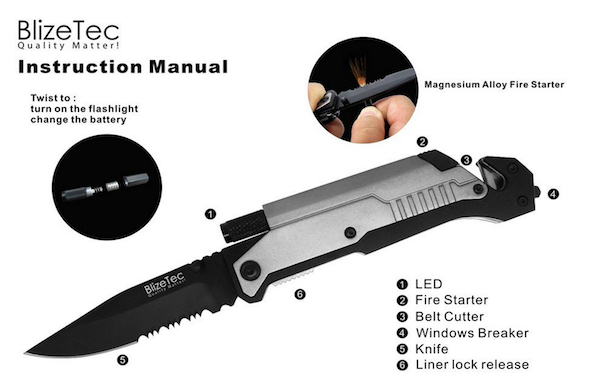 Not a bad idea to keep one on hand in case of an unexpected overnight. As always be prepared and make sure you have the essential with you at all times – no matter where you go. You never know when things could take a turn for the worse. It is no harm to stick a few of these into your pack before you head out anyway. They weigh little or nothing but could be vital in times of crisis to give you a much needed energy boost. A small first aid kit makes the hike more pleasurable. Blisters can be prevented with a little duct tape over the hot-spot to stop the friction. Bandages (bandaids) of various sizes, alcohol swabs and a couple of triangular bandages will address the common injuries. 5 years old is a good time to start talking about first aid measures. When hiking with kids, most families won’t go into uncharted territory. Know your area. In most cases, a lost hiker will be stumbled upon by other hikers accidentally. To increase the odds of that happening, have a plan. It is generally accepted that groups of three signals mean ‘help’. Three whistle blasts, three fires, three shots from a firearm (mostly pertaining to hunters) mean that someone needs help. A whistle is absolutely essential safety equipment, no matter where the trail takes you. The Fox 40 Classic classic is the gold-standard of emergency whistles. Its piercing tone can be heard for miles, over just about any other sounds and with no moving parts it’s unlikely to fail. Anyone can use the Fox 40 without over-blowing it. Light sticks are another great way to be seen at night. A couple of these strung from a tree or hiking stick make a lost hiker easily visible. The most important thing to do when lost is to stop. Stay still and get help. Teaching this to kids, and teaching them to use the equipment in their packs is the most important. Test all the gear in the backyard, run through the what-if scenarios. Tailor each child’s pack to them. An avid hiker that knows how to use a map and compass should have both in their kits. a diabetic should have extra insulin and the right kinds of food. Winter hiking should have more food planned as the travel is harder through snow. When I was young and camping with my parents there was no such things as proper tent lighting to be honest. We did have an old lantern style thing that had two batteries the size of a house, that would last for a couple of nights if you were lucky. There was light off the campfire if you were old enough to stay up late and sit by it. But once you went to bed that was it. Pitch dark with only the light of the moon to comfort you. As a small child I have very fond memories of this but I’ll be honest and say I was a bit terrified at times by the darkness. Things have come a long way since then and in todays modern world there are is a whole range of camping and tent lights available for you to choose from. What we wanted to try and do with this post was look at some of the features (both good and bad) of some of the most popular ones so you can make an informed decision next time you go buy lighting for your tent. The Coleman MicroPacker LED Mini Lantern review is first up and let me tell you this is superb. Its multifunctional from the point of view that it is both a camping lantern and a flashlight. It only weighs 6 ounces even when the batteries are installed. Speaking of batteries, the light will run for up to 15 hours with three AA batteries so cheap enough to run as well. The bulbs are ‘lifetime LEDS’ so you wont have to worry about changing them either. You can change from normal to directional lighting mode by sliding up the reflector. A very handy feature if you need to head out of the tent in the night. Both lantern and flashlight in the same place. While it is small – important when packing your bag – it still gives off plenty of light. Great for hanging in the tent for reading. The final point to make is that it is a Coleman so quality wise it is top notch. 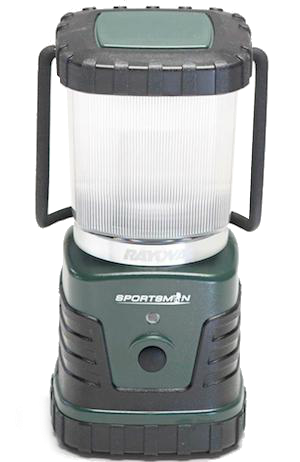 Next up we want to look at the Rayovac Sportsman 240 Lumen 3D LED Lantern. 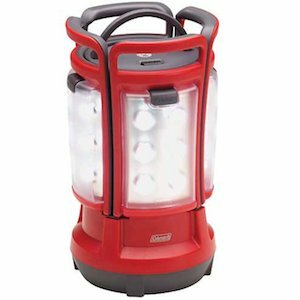 The Rayovac Sportsman is a compact very bright handy lantern for both camping and home use. Easier to justify buying something and better for the environment if you can find more than one use for it. 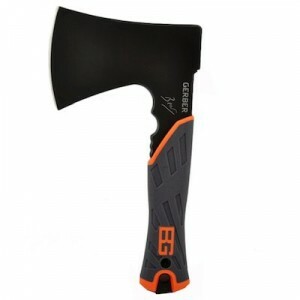 It comes in at seven inches tall and puts out a startling 240 lumen in lighting so perfect for any camping trip or walk at night. Also popular with emergency preppers because it is lightweight, durable and water resistant. It has a built in green led that flashed every few seconds when the light is turned off so you don’t have to fumble around in the dark looking for it. 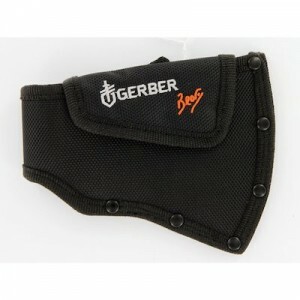 It sports optimized beams and comes complete with a fold out rubber grip. You can pull out a hook from the bottom of the lantern and hang it upside down in your tent for full handsfree lighting. This light may be small but do not let that put you off. It will give off enough light to fill a room or even better – a tent. Happy camping. 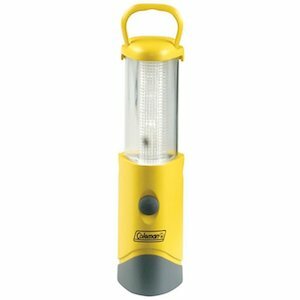 The final tent lantern we want to cover is the Coleman Quad LED Lantern. This is very popular when you are camping with the kids because of its design. When fully together the lantern runs of 8 D size batteries. 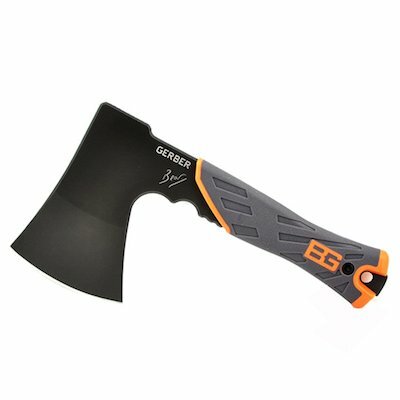 This gives it a bit of weight but it has a solid sturdy handle so nothing to worry about there. 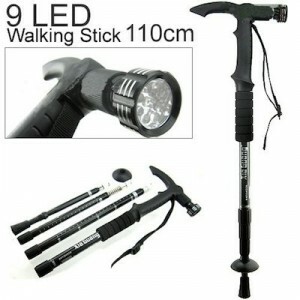 It gives off a serious amount of light and is perfectly suited for camping. Set it up while cooking or just in the tent for relaxing a reading and you are good to go. Despite all the LEDs it runs cold and safe to the touch. You get about 75 hours running time when its all together which is unbelievable if you think about the light it gives off. You can take all four panels off the light and use them individually. Its great that you can give each of the kids one when they go to bed, or when there is a toilet run. Each individual light has a handle on the top so its easy to carry. You then just simply clip them back onto the base and you have a very bright and powerful camping lantern suitable for every need. Each light will give you about one and a half hours of light, provided by a built-in rechargeable battery. We have used these for the kids coming back from kids camp in the evenings or at dusk when outside with their friends. They give great comfort at night and saves you having to buy individual lights for each of the family. All in all our favorite lantern style camping light. The final thing I want to discuss here are batteries. Often overlooked when you are packing up for a long trip and its very hard to find a shop in the middle of a forest. I suggest you go for a set of rechargeable batteries and a good quality charger (likethis one.) The panasonic charger is first class and once charged the batteries will last for ages. 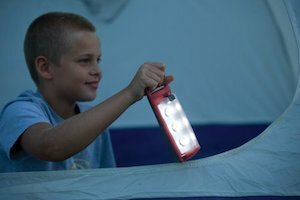 Why not leave us a comment and let us know what type of lighting you use when camping or do you have any thoughts or opinions on our selection. Remember it you guys and gals that are using this gear and we love feedback. Thanks for stopping by and see you at the campsite some day soon. When there are just the two of you going camping and hiking out in the wild a good tent is a must have. Think about it for a second, most of the time you will be trekking about in the mud and wet or dust and arid landscape so when it comes to bed time you want to at least have something you can rely on. A good tent doesn’t have to weigh a lot, nor cost a small fortune, but invest wisely and you will have many a happy night camping out in the wild. We have used and trialled many tents over the past number of years and today we are going to give you a run down on the best of the bunch and some of the new additions into the camping market for 2015. First up is the NX from MSR. The original version of this tent hit the market a few years back and has pretty much topped the best sellers list since day one. 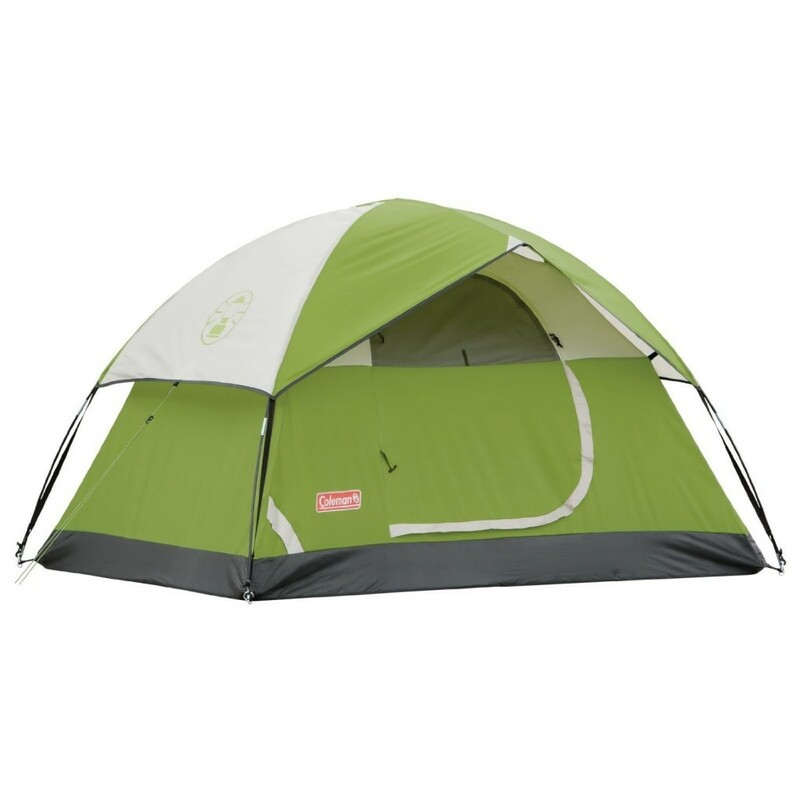 It is extremely light by design but has all the room a couple could need in a tent. 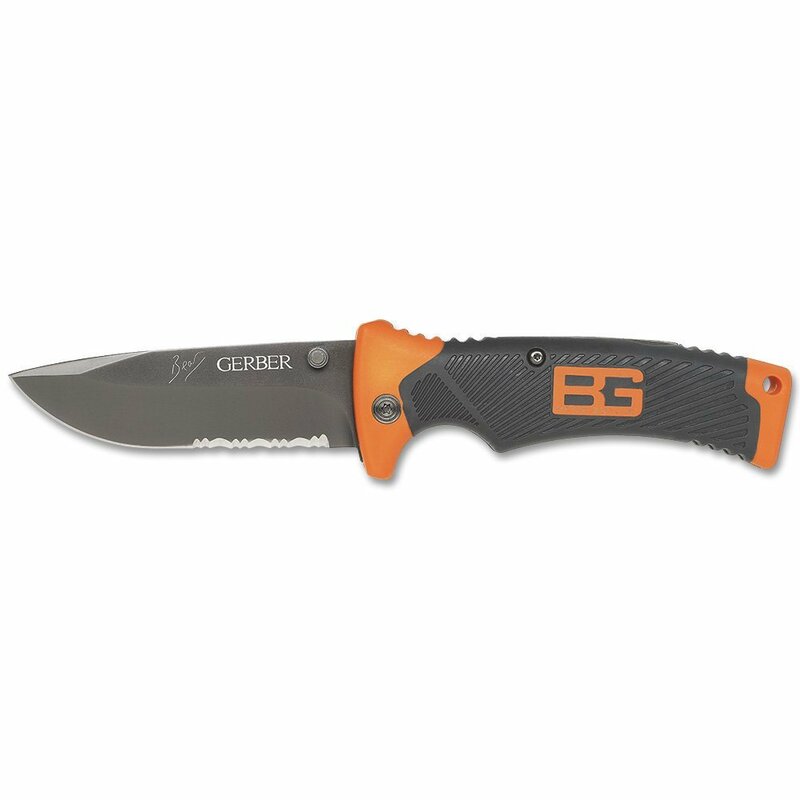 It was originally designed for backpackers and people who like to travel light. 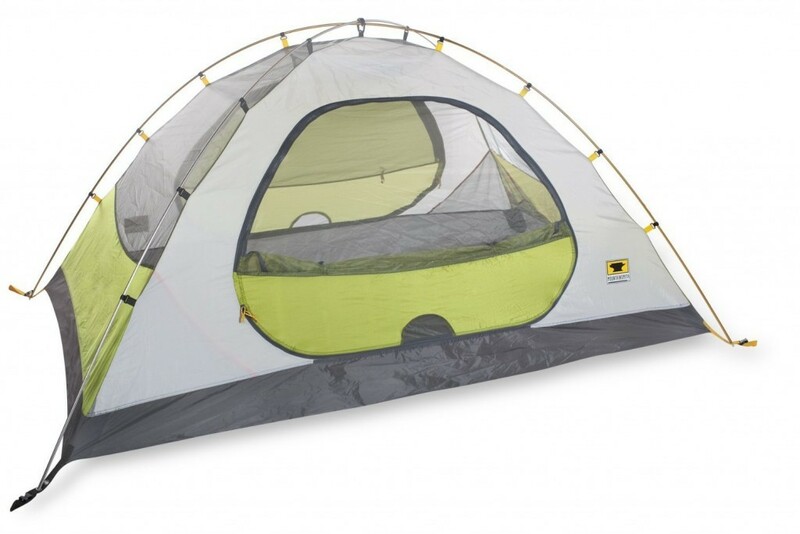 Weighing in at just shy of four pounds this tent is great when you are on the move. It packs up really well and fits nicely into most decent backpacks. 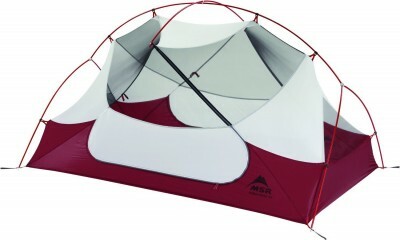 This is an easy to assemble tent and comes with all the features you expect from a brand like MSR. Symmetrical pole geometry for more space and easy to set up free standing hub system complete with DAC featherlight poles. Multitude of air vents to reduce condensation and increase air flow even when its raining. The MSR takes out top spot for a quality durable and lightweight two person tent that you should take with you on your next camping adventure. 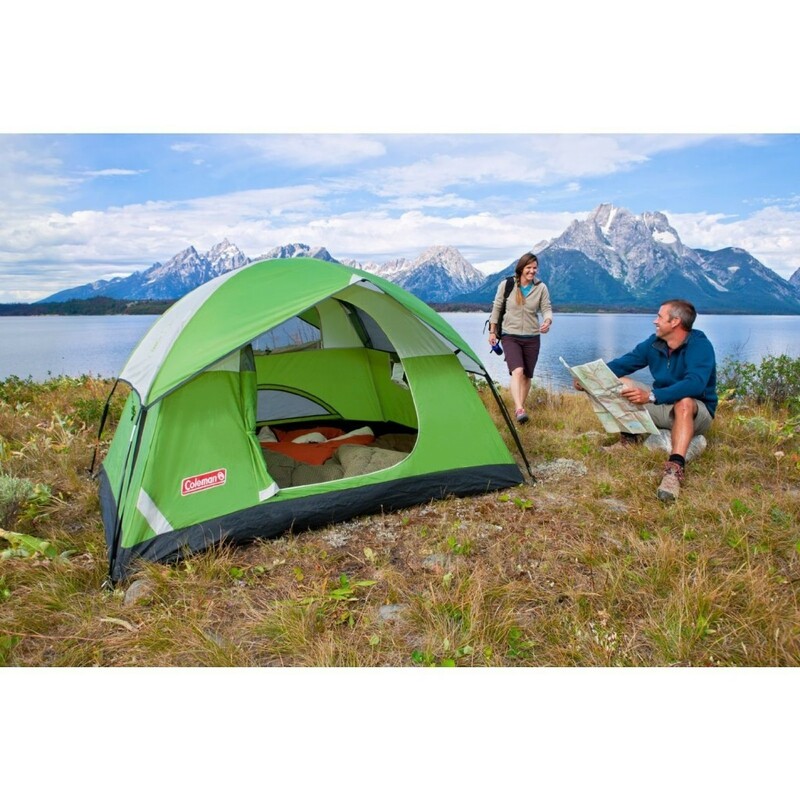 Guided by over thirty years of outdoor experience Mountainsmith has designed an award winning two person tent that is exceptional value for money. This really is a great offering and comes with a raft of features even to the point of printing the setup instructions on the tent bag. A brilliant yet cost effect tent suitable for any weather and every camping occasion. A good all rounder two person tent full of features. Some of the things we liked about this were the handy overhead storage areas, the footprint and the taped seams. Works great in the rain so no need to worry about getting wet. The Mountainsmith Morrison 3 season tent takes out our best value tent for this review. Quality and feature rich at an affordable price point. If you are a weekend car camper or love camping out in the wild during the summer the you can’t go wrong with the Coleman Sundome. These tents are designed to be very easy to setup on your own because they use a continuous pole and sleeve/pin and ring system. They are suitable if it does rain because of the WeatherTec system included in the design. The best thing about this tent is the price. We cannot find anything else this good for the same money. We loved the adjustable Variflo airflow ventilation system – a feature you would normally see in a much more expensive tent and at 48 inches in height you have plenty of room to move about when inside. The Coleman Sundome is by far the best value tent we can find given the long list of features and the outstanding price point. A great all rounder that wont break the bank.